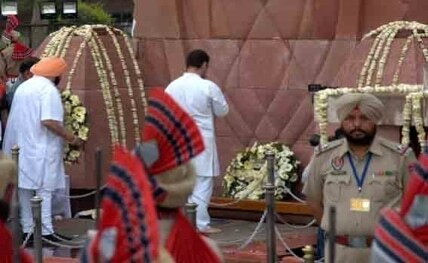 Mumbai, April 13 : As India commemorates the 100th anniversary of the massacre of hundreds of innocent Indians by British forces at the Jallianwala Bagh, members of the film industry, including Amitabh Bachchan, Sunny Deol, Bhumi Pednekar and Madhur Bhandarkar, paid tributes to the martyrs. Actress-turned-politician Kirron Kher said: "Remembering the innocent souls who were martyred, mercilessly, for taking a stand for our country’s independence this day, 100 years ago." According to Kirron, "Jallianwala Bagh centenary is a reminder that even the worst of massacres couldn’t dampen the spirit of our countrymen."